On May 10th, the 104th edition of the Lamar Hunt US Open Cup will officially begin, with the first round pairings being announced tomorrow, April 12th. 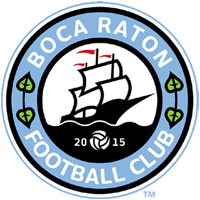 Boca Raton FC will begin the competition at this stage. The tournament is a tiered-bracket single game knockout format with a total of 99 amateur and professional teams taking part. From the First Round to the Fourth Round, teams will be paired geographically. A geographically-based random draw will take place after the Fourth Round to determine the the Round of 16 matchups and set a fixed bracket to the Final. In the First Round, 56 Open Division teams from local qualifiers, Premier Development League (PDL), and National Premier Soccer League (NPSL) will take part. The Second Round will see 24 Division II clubs join the tournament, six from the North American Soccer League (NASL) and 18 from the United Soccer League (USL). After the Third Round, the winners will be joined by 19 Major League Soccer (MLS) clubs in the Fourth Round. In this season’s U.S. Open Cup, the winner will receive $250,000 and a berth in the 2019 CONCACAF Champions League, as well as its name engraved on the historic Dewar Challenge Trophy (one of the oldest nationally contested trophies in U.S. sports). The runner-up will earn $60,000 for reaching the final, while the teams that advance the furthest from each lower division will receive $15,000.